A few months ago I started getting into web development to get my skills up to scratch because I believe that the web will be the future. To be more specific I think that HTML5/CSS3 allows a similar experience across different platforms whether that be Mac, Linux or Windows, desktop or mobile. I want to keep my skills up for the future. Why did I use Sencha? There are many other frameworks out there, why Sencha? To be honest I am a fan of knockout.js and Kendo UI because it adopts the MVVM framework that I am used to with WPF desktop development. 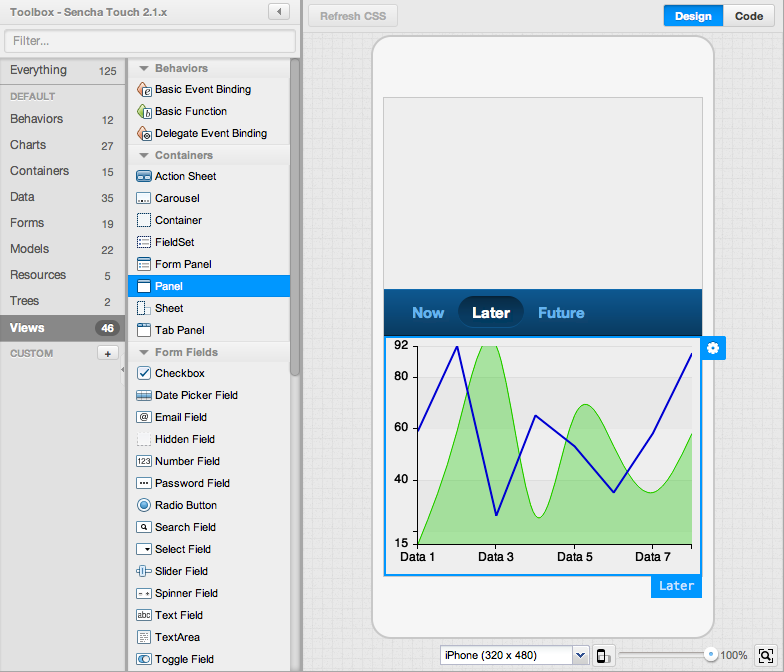 I used Sencha Touch because of the HTML5 is Ready contest. 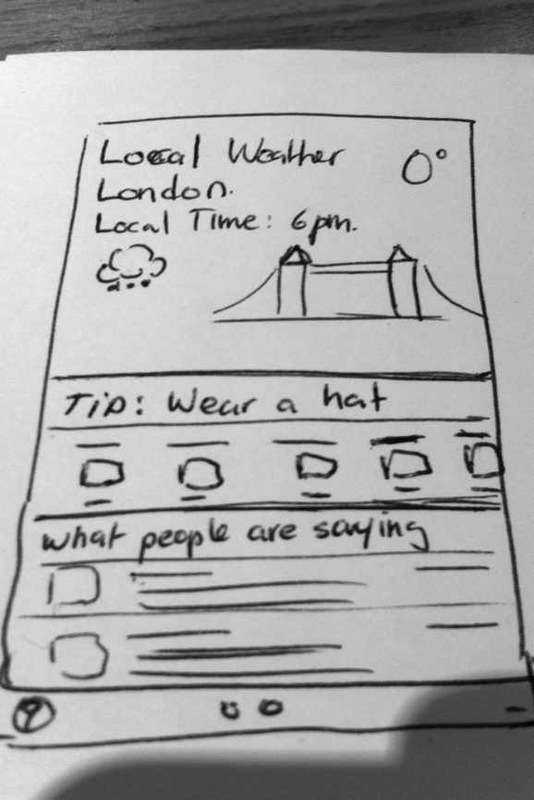 My idea was to create a weather app (yes another weather app). Everything started out as sketches. I wanted to include a background image of each city in the background and use a carousel to slide between each city. 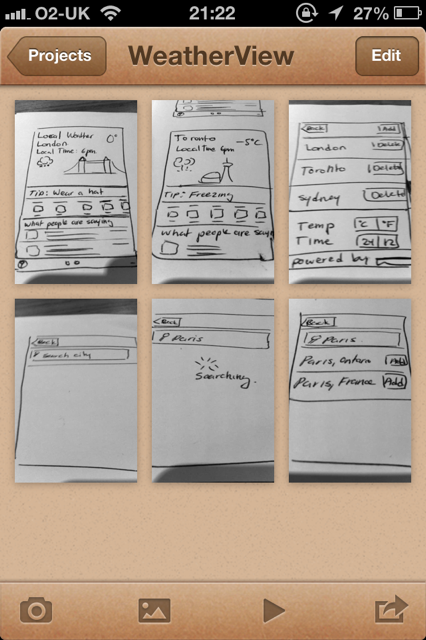 If there was reason to send these sketches around to other people I would use something like Balsamiq. For the purpose of this app and showing the idea to friends I used POP (Protyping on Paper). This is a great app to link different sketches together. Given that I started looking into coding in January and the contest was up in February; 3 weeks. The first 2 weeks was spent trying to figure out Sencha Touch/Sencha Command/Sencha Architect, the last week was the real coding. Therefore my application was coded in one week. You can upload your application in zip file to Sencha Cmd. Sencha will host it for you. 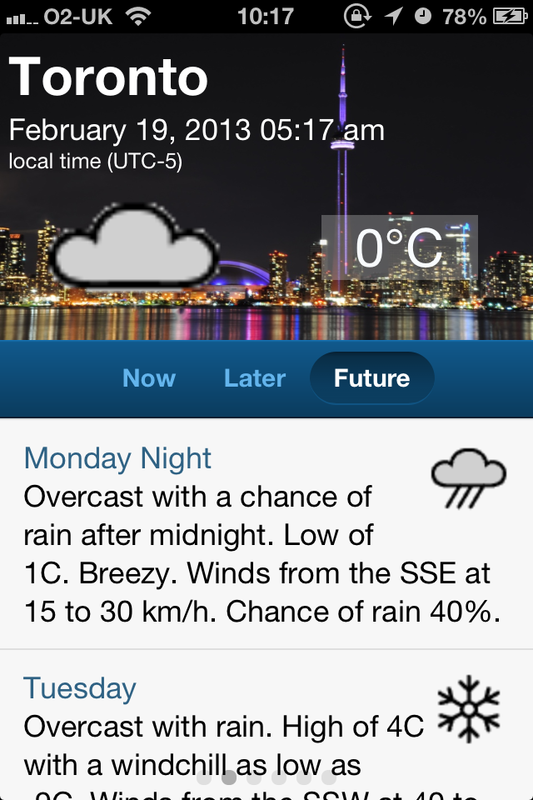 You can look at the application I created by clicking on this link here for Weather View. The final application has the carousel control to move between cities. For each city, the tab control shows the weather for Now, Later and in the Future. For the Later part I wanted to create something like the BBC weather graph but due to the time constraints I settled with the normal graph. Below are images of the application. For cities where the time is in the night time (6pm-6am) I tried to use a night background image. 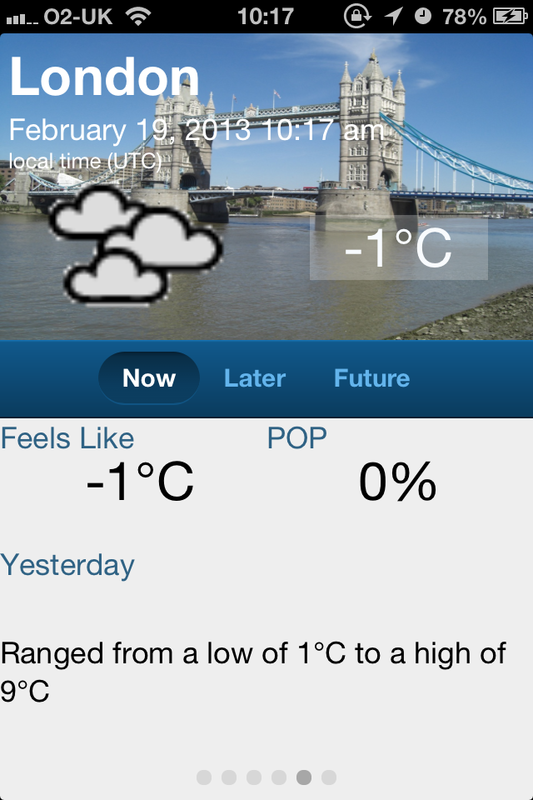 Given more time I would have improved the application by having cleaner weather icons and better user interface. Congratulations to one of the winner Weathy. On the week the contest ended Haze also released. Weather apps they can be beautiful in addition to being useful. Thanks for reading my post. I think the best way to learn something is trial by fire. Try to build something that you wish existed or try to emulate an app you like. Thank you for your answer, i will try my best :). If i have something else i will post you..